The interior decor of your home can say a lot about your personality, especially when it comes to your lighting. For many Alabama homeowners, the interior lighting of their home is often at the bottom of the list when it comes to home improvements. Lighting is a critical component of your home for a variety of reasons, and at Lighting Concepts, we’re proud to offer our customers the best ceiling lights, lamps, and wall lights for their home. If you need assistance choosing the best light fixtures for your home, apartment or condominium, contact the lighting experts at Lighting Concepts today! When was the last time you walked into a dark closet and felt warm and happy inside? If you answered “never,” you already know what a big impact a little light can make. When it comes to determining your home’s lighting goals, there are a few important things to consider. For spaces that you plan on working in, such as the kitchen or the office, direct lighting or task lighting should be your number one choice. If you’re looking to illuminate the space of an entire room, ambient lighting or indirect lighting may be used to create a naturally lit environment. Each room of your home should have a certain mood you’re looking to set, and choosing the best light fixtures can help you create that mood in little to no time at all. Exterior lighting can help improve the safety and security of your Alabama home. If your home has walkways or sidewalks along the perimeter of your home, it’s important to make sure your front entry is well lit with ambient lighting. Homeowners that ignore lighting the exterior of their property put themselves at risk of unwanted visitors and intruders. If your exterior lights are too bright, however, your neighbors could find them disturbing, not to mention you could see a huge spike in your energy bills. At Lighting Concepts, our lighting professionals love helping people find the best lighting solutions for the exterior of their home. From classic landscape lighting to outdoor spotlights and more, we can help you find the best light fixtures to illuminate your home. Contact our lighting experts today to learn more! 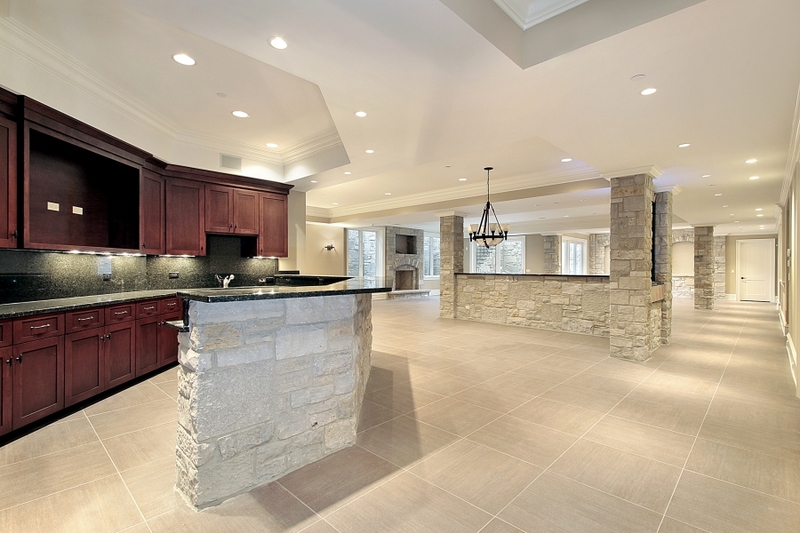 If your home is on the smaller side, adding interior lights can help make your home feel more spacious inside. If your family room gets a lot of natural light during the day, but feels awfully dim at night, consider installing stylish wall sconces to help light up your space. This type of ambient lighting will give the illusion that your home is actually larger than it is, not to mention you’ll be able to see better in the evening hours. 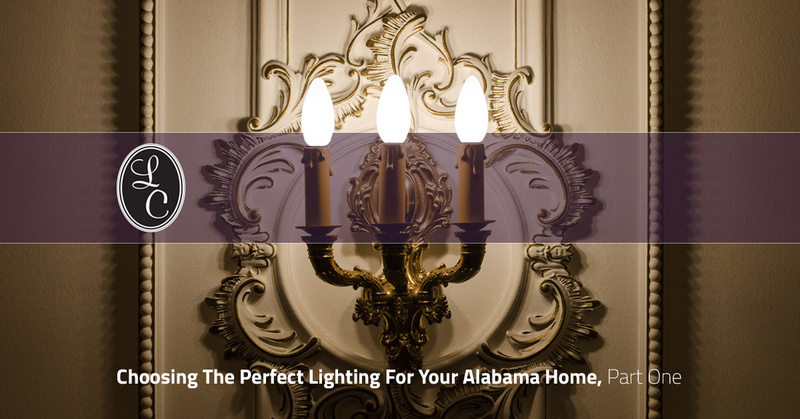 At Lighting Concepts in Trussville, we’re proud to offer a large selection of affordable and stylish wall sconces to help illuminate your home. From metal wall sconces to single candle sconces and more, we can help you choose the best lighting solutions for every room in your home. Contact our lighting experts today to learn more our browse our wall sconces online today! The kitchen is the one room in your home that your family spends a majority of their time in, so it’s important to choose a versatile lighting solution that meets your needs. It’s a good idea to find a balance between general lighting and task lighting, since you’ll likely be preparing meals at the kitchen counter on a daily basis. One of the most popular lighting setups for kitchens is a long light fixture with fluorescent bulbs. Not sure what fluorescent bulbs are? Our lighting experts are here to clear things up! Fluorescent light bulbs can often be found in kitchens, laundry rooms, and garages. These light bulbs produce a large amount of white light that reveals detail without the production of excess heat. These bulbs tend to last 20 times longer than incandescent bulbs, and are among the most energy efficient types of light bulbs on the market today. If you’re looking for a contemporary alternative that works well with both general and task lighting, consider investing in halogen bulbs or lamps. Halogen light bulbs are a type of incandescent bulb that produces an intense light with higher color temperatures than other non-halogen bulbs. They are most often used in track lighting systems and ultramodern light fixtures, making them an excellent choice for task lighting. While this type of bulb tends to cost a little more than others, they make up for it with a significantly longer lifespan and higher energy efficiency. In part two of this series, we’ll discuss the best lighting solutions for your bedroom and other rooms in your home. If you need help choosing light fixtures for your home, contact the lighting professionals at Lighting Concepts today!